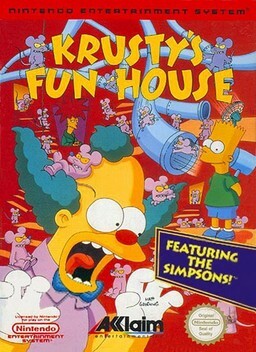 Krusty's Fun House is a video game based on the The Simpsons. It was originally called Rat-Trap. The game was released in 1992–1993 for the Amiga, NES, IBM PC, Sega Master System, Game Gear, Game Boy, Super NES, and Mega Drive/Genesis. David Whittaker composed the music for the video game. The player directs rats to an extermination area through maze levels. The player controls Krusty the Clown who must navigate through his Krusty Brand Fun House. Each level is a puzzle in which a number of rats must be exterminated. Using different objects and obstacles, Krusty must create a path for the rats to follow, and guide them towards an extermination device. 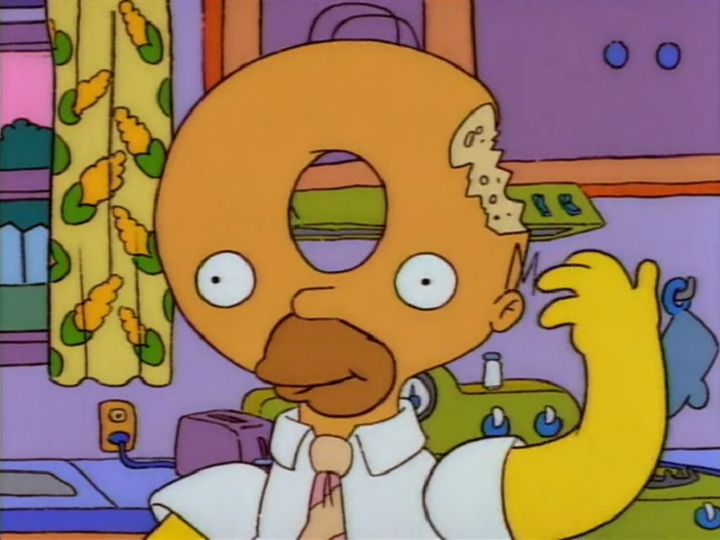 Other creatures attempt to hinder Krusty's progress; he must throw pies in order to defeat them. In each stage the extermination devices are run by a different character: Bart, Homer, Corporal Punishment, and Sideshow Mel. Modified on July 28, 2015, at 18:32.